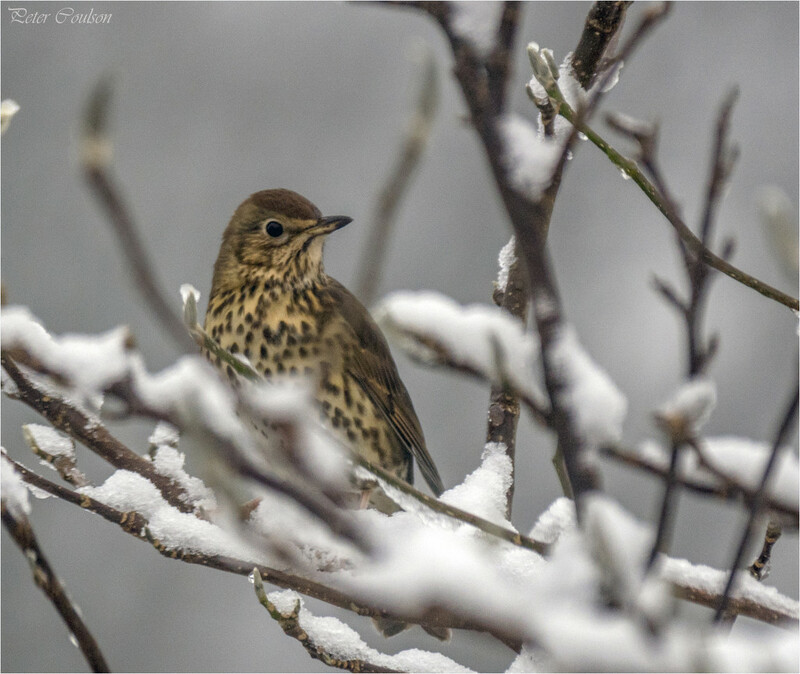 Snows back again today caught this Song Thrush through my conservatory window. Very good capture! Lovely in the snow. Oh this is lovely. I love the snowy branches in the foreground. Beautiful. Such a pretty capture. Pretty enough to frame, for sure. It looks so cold. I don't think I would be singing if I were outside in this weather. I like the depth of this, the branches and the snow. Beautiful focus and depth of field. Well earned PP and TP! (Sorry, I'm in catch up mode).